Investing All In Army Laboratory Innovation - The Americans .US! You need good labs and smart people to turn out good science and technology. If the Army wants innovative solutions backed by solid R&D, it needs to pay for them. Army laboratories work diligently and collaboratively to deliver technology-enabled solutions for current conflicts and to develop technologies to prepare the Army for multiple futures by enhancing the force’s ability to prevent, shape and win future conflicts. The Army labs are national assets, ensuring Army dominance in an asymmetric and complex warfighting future. The underpinnings of a robust Army laboratory network include strategic and focused workforce and infrastructure policies; collaborations with traditional and nontraditional defense partners; mechanisms for dynamic technology transfer to internal and external partners; and a science, technology, engineering and mathematics (STEM) ecosystem that promulgates a highly skilled, technically competent and diverse cadre of scientists and engineers at the Army laboratories. The assistant secretary of the Army for acquisition, logistics and technology (ASA(AL&T)) provides a strategic focus and policy framework to instill these organizations with the means and capabilities to develop critical Army technologies for the current and future force. To stay at the cutting edge and provide continued dominance to our Soldiers, Army labs need the right facilities, equipment and workforce. It’s a challenge to get them, however. Nationally, the number of U.S. students pursuing STEM degrees has declined for several years, and the Army faces stiff competition from the private sector for the limited talent pool once students graduate. The Army must continue to invest in STEM education to ensure a continuing supply of domestic scientists and engineers who can get security clearances in a timely manner, and who consider the Army for a long-term rewarding STEM career. Furthermore, Army labs have an average facility age of more than 50 years. Modern buildings, equipment and adequate resourcing are vital to developing cutting-edge technology and to recruit and retain the most talented scientific personnel. Minimizing the impact of aging infrastructure and maintaining world-class research facilities will require strategic planning from the Army science and technology (S&T) community. The laboratory must meet the definition of a research and development laboratory, as defined in paragraph 3.2 of “DOD Instruction 3201.4, In-House Laboratory Independent Research Program,” whose scientific and engineering workforce is principally involved in performing exploratory development, research work or a combination of both. A significant portion of the laboratory’s staff should be scientists or engineers who spend a substantial amount of time personally performing exploratory development or research work. Research and development efforts are preferably in at least two well-defined specialty areas. The facility should have a significant portion of its programmatic effort in tech-based activities, as defined in DOD’s Financial Management Regulation, Volume 2B, Chapter 5. The regulation organizes research, development, test and evaluation (RDT&E) appropriation into seven basic areas: basic research; applied research; advanced technology development; advanced component development and prototypes; engineering and manufacturing development; RDT&E management support; and operational system development. A significant portion of research and development activities should be conducted in-house, so as to require and ensure continued development of in-house expertise. At least one segment of the mission effort should be unique to that facility, at least within its own service. Professional recruitment activity should include at least one critical hard-to-hire, high-demand occupation or area where there is considerable competition for trained personnel. The organic Army S&T workforce includes approximately 28,350 employees around the world, at over 80 sites in 32 states across the U.S. and in 14 additional countries. The economic impact that the labs have on their local communities should not be understated. 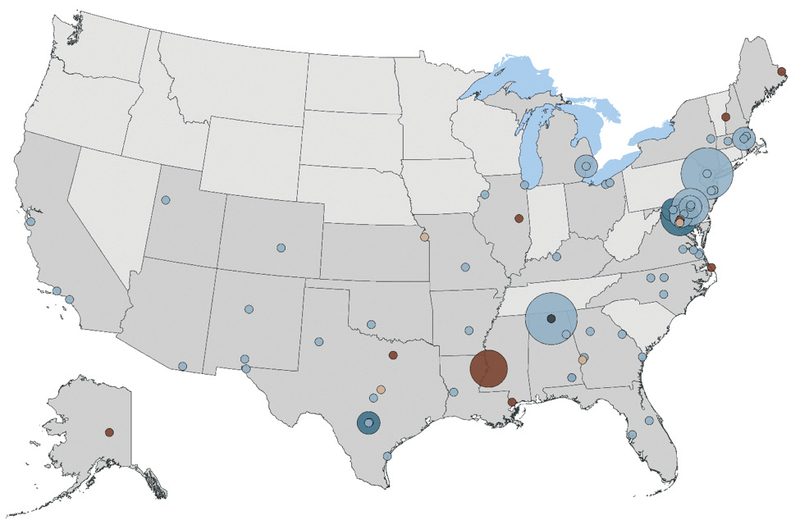 Figure 2 depicts a density plot of Army scientists and engineers across the U.S. for each S&T command; the size of the circle is proportional to the number of civilian, military and contractor personnel at each site. Annual RDT&E activity across the Army STRLs is greater than $11 billion. Army STRLs encompass a wide-ranging and diverse but complementary network of 11 distinct laboratory organizations operating specialized labs, research institutes and research, development and engineering centers (RDECs) in more than 80 locations, 32 states and 15 countries. 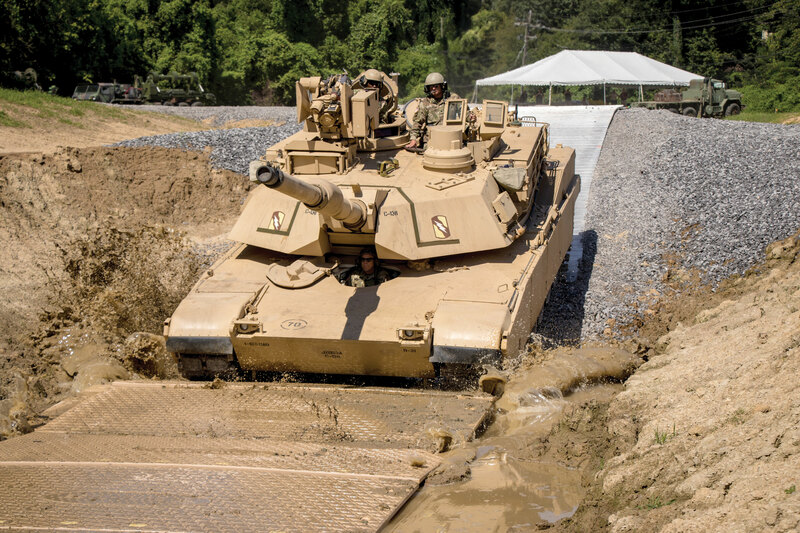 Army labs have had great technological successes, including providing novel armor solutions for vehicles and Soldier protection; adaptive Soldier protection capabilities; lower-cost air defense systems; and optimized Soldier-system integration and training technologies. Army leadership should invest in the current and future organic Army S&T workforce and facilities to foster overmatch for a complex and uncertain future, ensuring a deliberate investment in incremental and disruptive innovation. The following articles explore some of the contributions Army labs have made, and highlight ways to keep those labs staffed with talented, dedicated people to continue the legacy of achievement. For more information, contact the author at matthew.p.willis.civ@mail.mil. MATT WILLIS is the director for laboratory management in the Office of the Deputy Assistant Secretary of the Army for Research and Technology (DASA(R&T)). As such, he shapes policies that impact the workforce, infrastructure, technology transfer and STEM educational outreach posture at the Army STRLs. He holds a Ph.D. and an M.S. in chemical engineering from the University of Illinois at Urbana-Champaign and a B.S. in chemical engineering from Cornell University. He is Level II certified in science and technology management and is a member of the Army Acquisition Corps. The U.S. Army Materiel Command’s Research, Development and Engineering Command provides innovative research, development and engineering to support the joint warfighter and the nation. The U.S. Army Research Laboratory explores the art of the possible, while the research, development and engineering centers mature product development within armaments, aviation and missiles, communications and electronics, chemical and biological defense, Soldier systems, and tank and automotive systems. The U.S. Army Corps of Engineers’ Engineer Research and Development Center solves the nation’s most challenging problems in civil and military engineering, geospatial sciences, water resources and environmental sciences for the Army, DOD, civilian agencies and our nation’s public good. The U.S. Army Medical Command‘s Medical Research and Materiel Command (MRMC) is the -Army’s medical materiel developer, with responsibility for medical research, development and acquisition and medical logistics management. The MRMC’s expertise in these critical areas helps establish and maintain the capabilities the Army needs to fight and win on the battlefield. The U.S. Army Space and Missile Defense Command Technical Center (SMDTC) is part of a single, synchronized team charged to provide dominant Army space, missile defense and high-altitude capabilities to the Army, joint force, allies and partners. SMDTC manages S&T and R&D and conducts test programs for space, integrated air and missile defense, directed energy, hypersonics and related technologies. The U.S. Army Research Institute for the Behavioral and Social Sciences provides the Army with scientific research concerning cognitive and noncognitive personnel testing and performance measurement, individual skills training and learning, leadership and leader development, recruiting and retention of the force, and strategic organizational issues. The work of STRLs includes research into warfighter health. As the incidence of traumatic brain injury rises, developing a tool to quickly and correctly diagnose head injuries is vitally important. 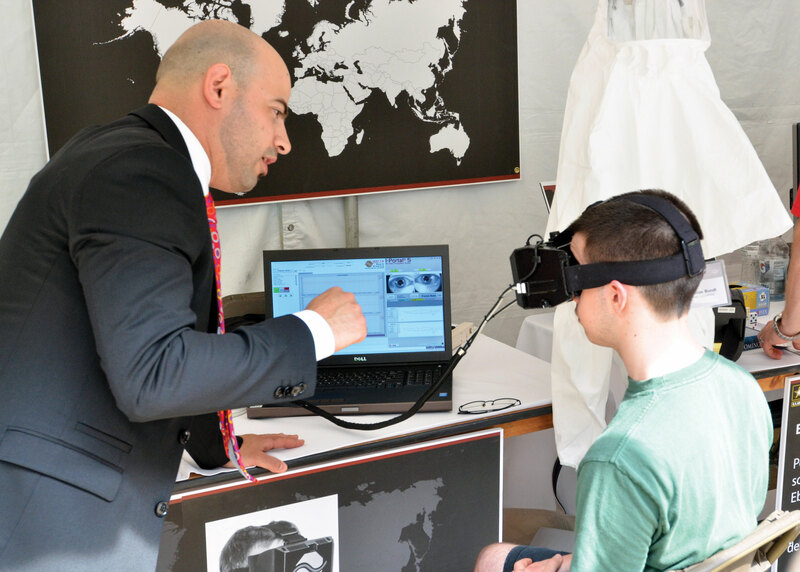 These I-Portal PAS goggles, funded in part by U.S. Army Medical Research and Materiel Command’s Combat Casualty Care Research Program, use virtual reality technology to assess possible brain injuries. The device has received financial support from DOD and the National Football League and is being evaluated in clinical trials at several military medical facilities. Development of bio-inspired sensors and controls, including sensor integration, human-in-the-loop controls and position, navigation and timing. Aeromechanics, soft materials, fluid and flight dynamics. Manipulation and mobility, e.g., self-righting and grasping. Collaboration behaviors, network-aware communications and GPS-denied navigation. The VISTA program was a multiyear Army-led initiative that also involved the Navy and Air Force. 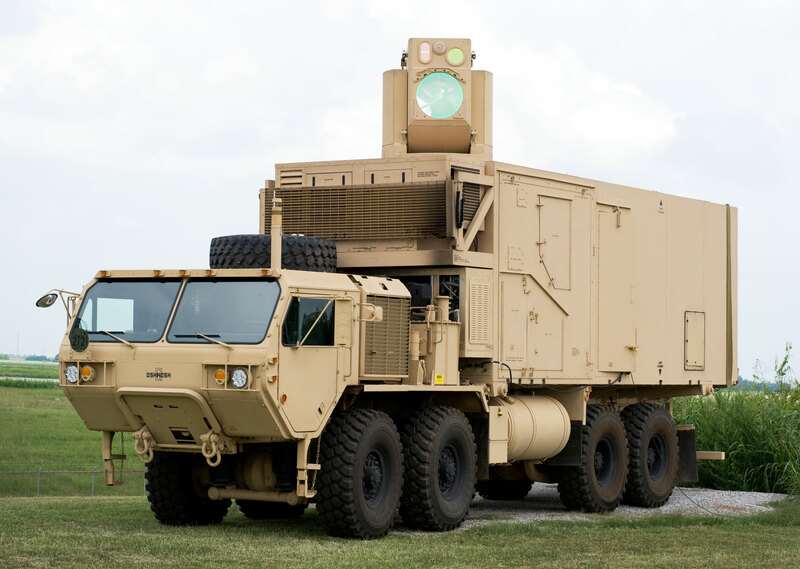 The effort began in 2011 and aimed to maintain U.S. military superiority in infrared sensor capabilities. Products delivered from VISTA will enable the next generation of sensors to perform at the levels necessary to maintain overmatch and allow for multiple functions, including search, identification and tracking; wide area persistent surveillance; and operations in degraded visual environments. VISTA focused on III-V antimony-based infrared focal plane arrays, which use an entirely new class of materials that improve affordability, manufacturability and performance, while also offering size, weight and power advantages for advanced infrared systems. The technology developed in this program is already available in some defense products and will be transitioned to multiple programs of record. Ultimately it will facilitate warfighter overmatch in any environment. Over its five years of effort, VISTA created an entire new industry base for producing III-V antimony-based infrared focal plane arrays. Its use of domestic commercial compound semiconductor foundries, which sell products like cellphone chips and are not reliant on DOD for their survival, provide flexibility, producibility and affordability. The Army S&T workforce numbers more than 28,000, with employees in 32 states across the U.S. and in international locations, making important contributions to the economy of the communities in which they operate. Annual RDT&E activity across the Army STRLs exceeds $11 billion. The technology behind the Javelin Lightweight CLU reduces the weight of the system by 50 percent and decreases the overall size by 35 percent while providing equal or greater detection, recognition and identification performance than the current Javelin CLU. AMRDEC’s investments in critical technologies provide the capabilities to reduce Soldier load, greater force protection to ensure survivability, and persistent surveillance and acquisition to enable battlefield dominance. A smaller infrared target acquisition sensor provides increased detection, recognition and identification performance, and advanced composite and foam materials used in the CLU housing improve strength, thermal management and shock absorption. Production is planned for FY20. Army recruits complete a series of screenings to be deemed eligible to join. Most notable is the Armed Services Vocational Aptitude Battery (ASVAB), a cognitive ability measure required for entry and job placement. The U.S. Army Research Institute for the Behavioral and Social Sciences developed TAPAS to supplement the ASVAB and predict success in the Army, the first major change to Army accession testing since the 1990s. TAPAS is a computer-adaptive personality assessment tool, based on personality theory, psychometrics and advanced testing technology, that assesses 26 personality attributes, including achievement, leadership, adjustment, tolerance and team orientation. Preliminary results indicate that TAPAS facilitates prediction of technical performance, is a strong predictor of motivational outcomes and attrition, and is a useful tool to improve in-service assignment selection. The Walter Reed Army Institute of Research (WRAIR) found strong relationships between those who score lower on TAPAS and mental health diagnosis and medical attrition. Expanded screening, including noncognitive assessments like TAPAS, can reduce attrition and behavioral health risks, and improve readiness and performance. OPAT is a battery of four physical performance tests that the Army has administered since 2017 to all candidates seeking to enter active, Reserve or National Guard duty, to identify who is most likely to succeed in combat military occupational specialties (MOSs). The U.S. Army Research Institute of Environmental Medicine (USARIEM), a subordinate command of MRMC, began conducting field studies in 2016, in initial military training settings at Fort Benning, Georgia; Fort Leonard Wood, Missouri; and Fort Sill, Oklahoma. The effort resulted in the four OPAT tests—a standing long jump, a medicine ball throw, an incremental squat lift and an interval aerobic run—and validated the predictive ability of the OPAT to place Soldiers into seven combat MOSs. USARIEM is now in the first year of a two-year longitudinal study to assess how successful Soldiers are in their assigned MOSs after receiving their OPAT results. According to an Army Times article, Army statistics from late October 2017 indicate that since administering the OPAT, injuries in basic combat training have dropped by 17 percent, and on-time graduation rates have jumped from 85 percent to 93 percent. The Zika virus, which originated in the Zika forest in Uganda, has now infected humans around the world, causing fevers and rashes along with more serious nervous system complications such as Guillain-Barre syndrome and microcephaly. U.S. service members and their families are at higher risk for Zika virus infection than the general U.S. population as they often deploy to areas with active transmission of Zika. In an unprecedented 180 days, USAMRMC and WRAIR developed a Zika purified inactivated virus (ZPIV) vaccine candidate and published preclinical findings in Nature and Science. Three initial ZPIV human trials began in 2016, each addressing a unique question about background immunity, vaccine dose or vaccination schedule. The results of these trials, published in November 2017, showed that the vaccine induced a robust immune response and was safe and well-tolerated in healthy adults. A fourth ZPIV trial is still underway in Puerto Rico, where the population has natural exposure to other viruses in the same family as Zika, such as dengue. ERDC collaborates with the U.S. Army, Air Force, Navy, Marine Corps and others to solve significant projection and protection challenges facing Soldiers in A2AD environments. ERDC’s force projection research is focused on developing and demonstrating technologies for planning and conducting forcible entry operations with nonexistent, damaged or destroyed infrastructure to ensure that the joint force can operate in any environment, at any time, regardless of terrain. Recent successes include demonstration of rapid airport and seaport repair solutions; terrain surfacing kits for unmanned aircraft landing strips, helicopter landing zones, and logistics over shore operations; and remote monitoring technologies and decision support tools for assessing critical infrastructure and littoral zones. To protect facilities that allow the U.S. to project force into denied areas, ERDC is exploring advanced materials and unique structural components that are incorporated into structural hardening solutions, as well as decision support tools that aid vulnerability assessments of critical facilities and mission impact.